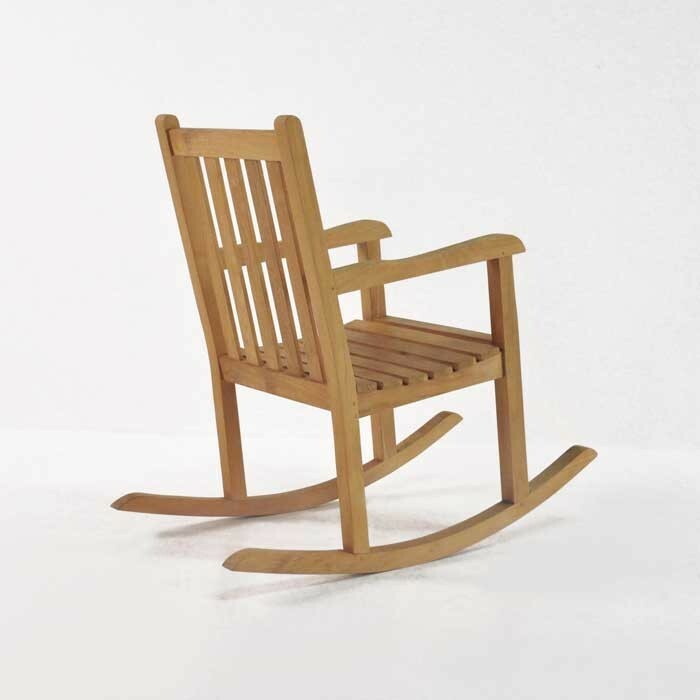 Comfort, security, relaxation; the Teak Rocking Chair is an excellent choice for any home because of its lovely, lilting rocking motion in a strong piece of outdoor furniture. 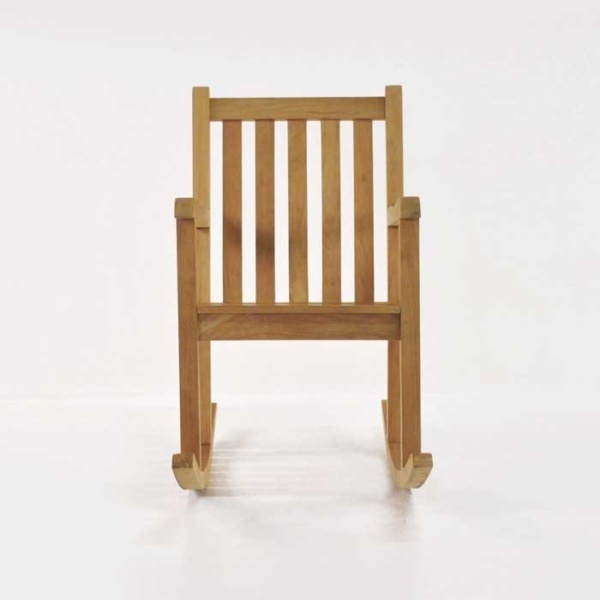 Part of Teak Warehouse’s collection of stunning A-Grade Teak Relaxing Chairs, the Teak Rocking Chair is the perfect choice for those who want to create a space to unwind after a long day. 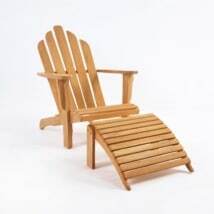 A stable piece of outdoor furniture, these chairs urge you to sit down, giving yourself the space and time to unwind on the substantial, wide, comforting Teak Rocking Chair. W24" x D46" x H42"
Slightly more modern in style than the traditional Granny Rocker (also available!) the Teak Rocking Chair sports large slats of Teak timber, with clean lines and a curved arm rest for ultimate comfort. Place a couple of these on your porch with a Raw Concrete Letterbox Table, for a contemporary setting or go for a more traditional approach with a gorgeous Teak Accent Table for a splendid and classic look. 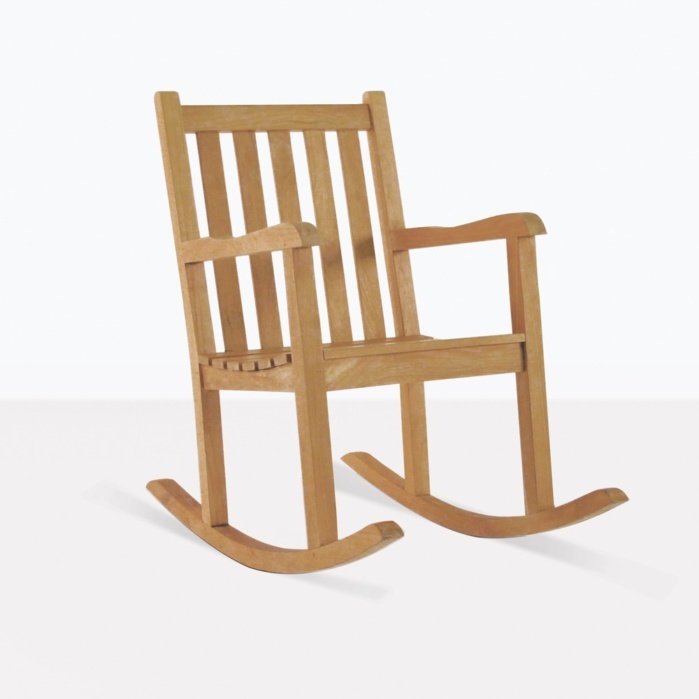 The Teak Rocking Chair also looks great by itself as a statement piece by your entrance way. Pop yourself down with a lovely, cozy blanket and a cup of your favorite tea or a yummy hot chocolate! Hours spent enjoying your space, well deserved after the busyness of everyday life. The Teak Rocking Chair is made out of long lasting A-Grade Teak, recognized and celebrated for its durability and beautiful look. 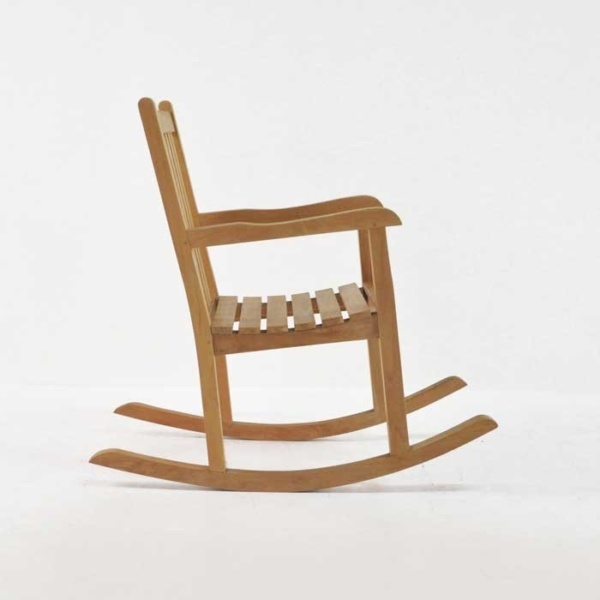 The A-Grade we use is from teak that has reached the age of 40 years, meaning it has had time to develop natural rubber and oil content, giving the furniture it is made into extra benefits. 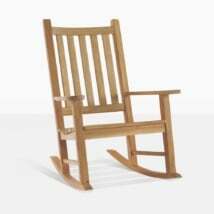 You will find that your Teak Rocking Chair looks exquisite and is easy to maintain. At Teak Warehouse we are ensuring a long life and a great quality product! 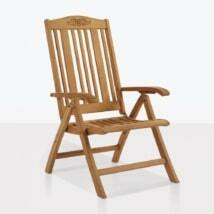 As well as terrific teak, we also stock a great range of other outdoor appropriate furniture. All marine grade, Teak Warehouse is now happy to offer stainless steel, a range of mesh products, Sunbrella® umbrellas and cushions, Viro ® all weather wicker, reclaimed teak and raw concrete! Be prepared to be wowed by the reclining chairs, loungers, deep seating, dining, bar and chaise sets, all beautiful and ready for your outdoor area. Our A-Grade teak is sold ‘raw’ because of its high quality and to give our customers many options for the look of their wood. A-Grade Teak will age wonderfully without the necessity of sealants, oils and stains. However, if your space requires the soft honey color of the teak when you purchase it, or even a hue, just pop down to your local marine store and discuss what you would like your teak to look like. Regardless what you choose, cleaning and maintenance is a cinch with A-Grade Teak. All it requires is washing a few times a year to keep your furniture looking impeccable, glossy and beautiful. If you’d like more information about how to care for our products, either call us or visit our blog for instructional videos and expert advice on caring for teak. 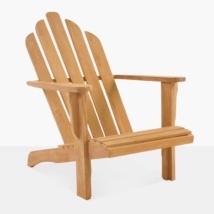 Place two or three of the Teak Rocking Chairs on your patio and just wait for everyone to migrate outside for the summer! The Teak Rocking Chair is a staple piece for any home, order yours today and get ready to rock away your troubles!